This dress has such lovely lines. 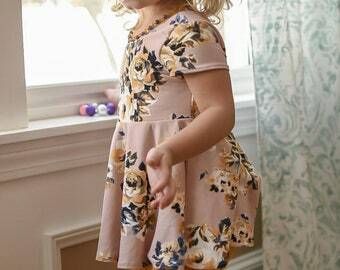 A classic style with vintage appeal to add a little spring and summer whimsy to your little lovely's wardrobe. Flutter sleeves and vintage length make this dress a must have for the season. Layer it with a tee or a delicious cardigan, or even add tights or leggings for more versatility and your sweet lady will be the talk of the town! Made-to-order just for your little lady, by me! 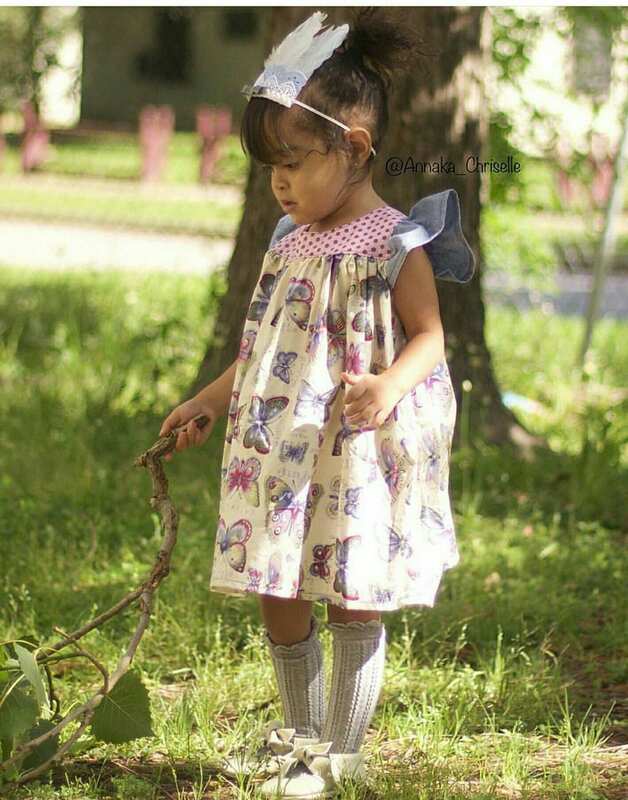 What a gorgeous dress perfect for the little girl in your life!!! We were getting compliments the minute we walked out the door!!! This is a shop that never disappoints!!! Another beautiful piece to add to our collection! !